Neva Ikner and her friend Donna Harper arrived at the Barnes and Noble book store in Northwest Washington D.C. at 6:30 Tuesday morning to get a good spot in line for a Michelle Obama book signing. But this was their second time standing in line for this event. They first came last Friday around the same time to purchase the book and get security clearance in order to have the opportunity to come back and meet the first lady in-person. They had no complaints though. "This is history," Ikner said, "When are we going to get this opportunity again?" 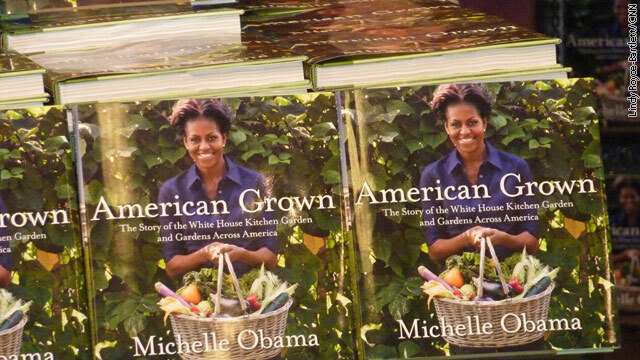 A mere 200 lucky book fans were able to attend the book signing, which was her first, and Mrs. Obama says, likely the only one. Britta Waldschmidt-Nelson brought her three young daughters to Tuesday's book signing. To have the first lady take "such an interest in health and the health of children - I think that's wonderful," she said.